The initial commitment phase in Saint Lucia spanned just over a half a year from the first contacts made in September 2014 to the final project agreement in early 2015. This partnership formed to achieve several objectives in a participatory manner. 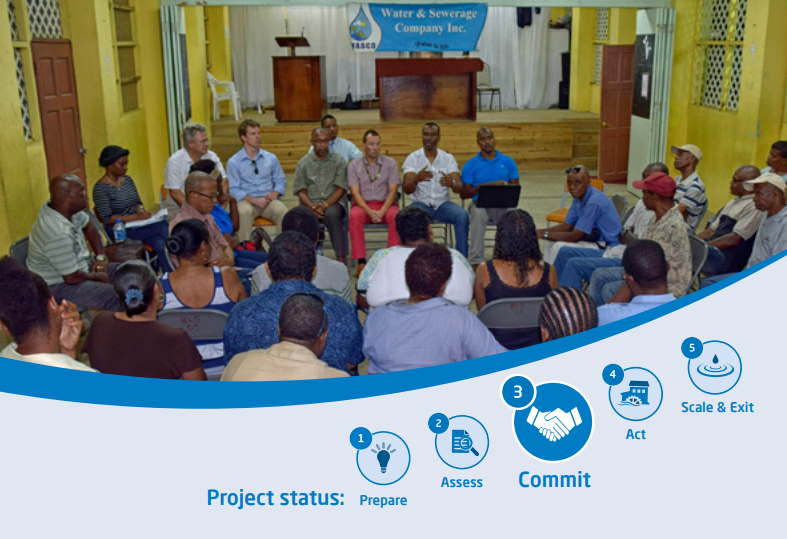 Among the objectives were to identify fast-working, effective measures to improve erratic water supply and security in the Vieux Fort area at the southern tip of the island of Saint Lucia, to collectively secure the water supply for communities and businesses in the area, and to generate and foster active participation from villagers and civil society organizations in collaboration with the public water utility and private businesses in the area. 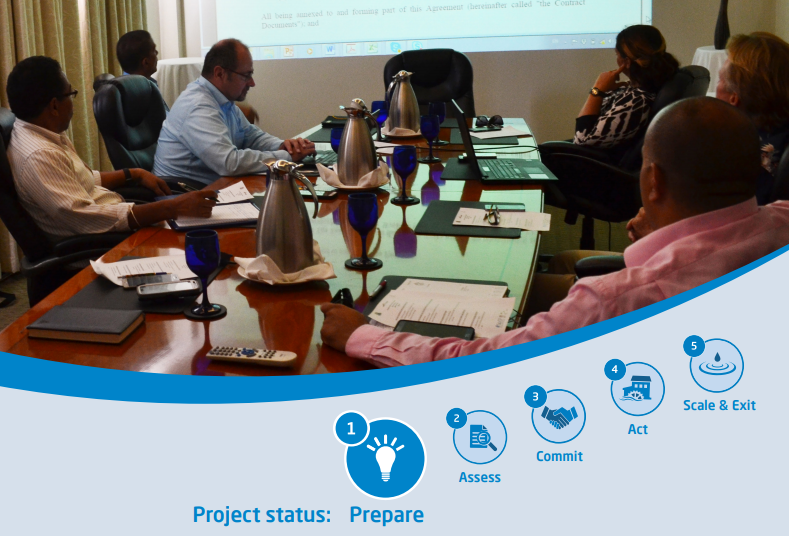 The initial commitment phase during which GIZ and HEINEKEN presented their individual or particular interests and worked towards a common understanding on water stewardship in Saint Lucia spanned just over a half a year from the first contacts made in September 2014 to the final project agreement in early 2015, during which time formal approval had to be sought from the two GIZ donors, namely the German Federal Ministry for Economic Cooperation and Development (BMZ) and the U.K. Department for International Development (DfID). 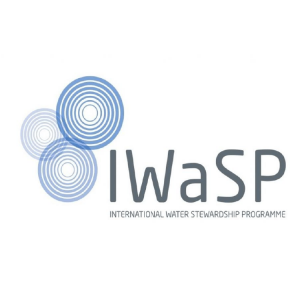 WASCO’s (the national water utility) commitment was a given from the beginning. Once all formalities had successfully been taken care of, the three partners engaged in comprehensive stakeholder consultations in the area identified for first action, namely Vieux Fort in southern Saint Lucia. This area was chosen because, first, it is complementary to the “Vieux Fort Water Supply Redevelopment Project” for which GIZ had co-financed the feasibility study along with the ‘Caribbean Development Bank’ (CDB). Second, the Windward and Leeward Brewery Ltd. (HEINEKEN) is located in Vieux Fort. Looking back on the important lessons learnt during the commitment phase and the factors that yielded final commitment between GIZ-IWaSP and HEINEKEN, clearly, the most crucial precondition for entering into the ‘Saint Lucia Water Stewardship Partnership’ in the first place was the realization of a favorable convergence of partners’ rational self-interests and the fortunate compatibility of social responsibility ethics and values among partners. In addition, partners shared a conducive and deep-seated understanding that cooperation reduces the risk of individual engagement and unilateral investment. Create standard structured PowerPoint-document that can be utilised. 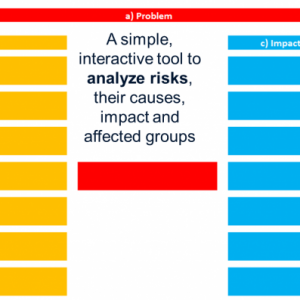 Interactive brainstorming tool to jointly analyse risks, their causes, impact and impacted groups. 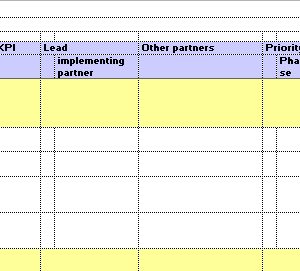 Project planning. Mapping out a roadmap of activities.